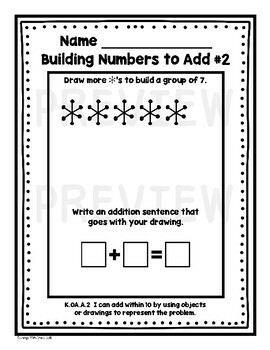 This low-prep counting and cardinality resource was designed to help PreK, Kindergarten, and 1st grade students with mastering the essential math skills of counting objects for the purpose of pairing each object with a number name; representing a number of objects with a written numeral 0 to 20; and adding within 10 by using objects or drawings to represent problems. How It Works: First, students are tasked to draw and represent objects with a specific numeral. Students then move on to drawing objects to build a particular number (within 10). Finally, students work to use objects and drawings to represent addition number sentences. 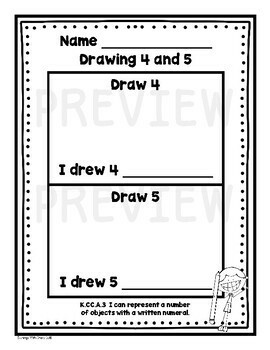 *This resource has been specifically created to build upon a student’s ability and knowledge of understanding the concept of addition as “putting together” and “adding to.” Depending on the academic needs and levels of your kiddos, you may want to introduce the skill of drawing for and solving math problems (within 10) by using the included practice printables in the following order: First, teach your kiddos how to draw the following objects quickly (and accurately). Then, you may wish to have your students practice drawing for a specific number of objects of their choice (or your choice). Next, comes building a specific number of objects by adding on to objects that have already been drawn. Last, students practice writing addition sentences that are correlated with the building and drawing of a particular set of objects. *As a way of saving paper, you can copy the student cover and the practice printables back-to-back (2-sided). 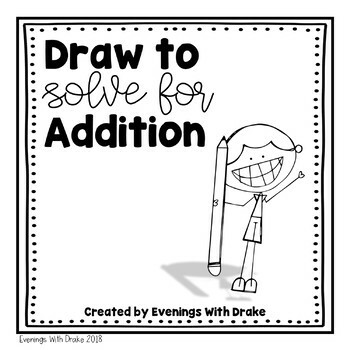 *Depending on the academic needs and levels of your students, you may wish to use these printables during math centers, math workshop; before (or after) a particular math lesson; during small group instruction; as homework assignments; early intervention lessons; or as reteach or preteach lesson activities. *This resource may also work well with students who are slow or reluctant learners; speech therapy or RSP students; and PreK/Transitional Kindergarten students. 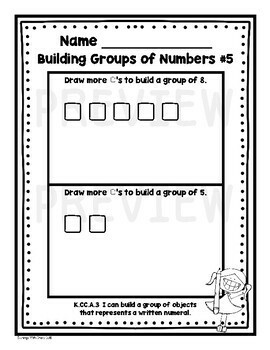 *Answer keys for both the Building Groups of Numbers Practice Printables and Building Numbers to Add Practice Printables have been included for your convenience.